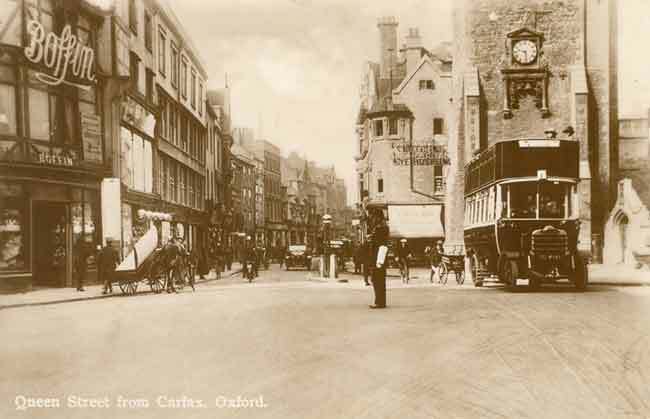 This postcard shows Queen Street in the early twentieth century, looking east towards Carfax. 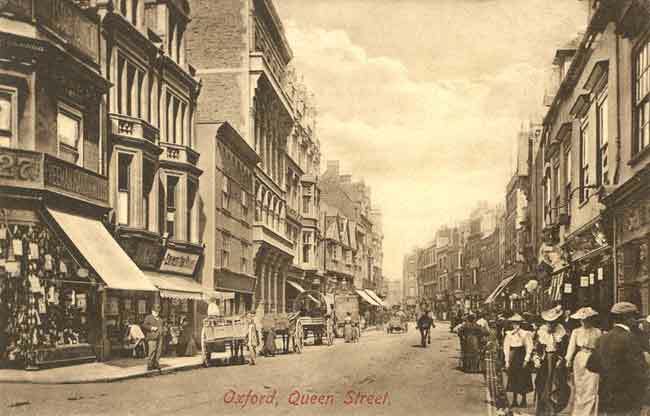 The numbering of the street has not changed since the mid-nineteenth century, although many of the shops have been rebuilt. 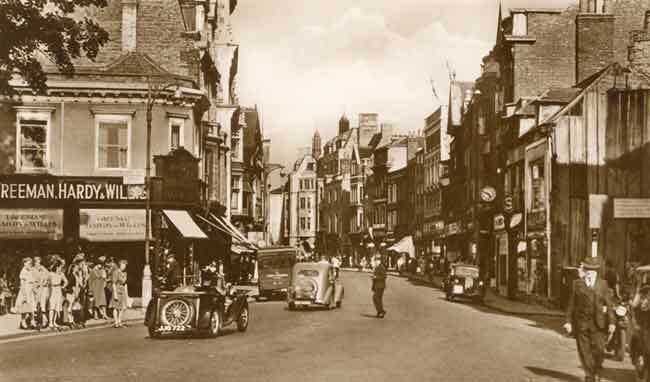 The shoe-shop at the front left is clearly marked with the number 27, and has “Freeman, Hardy & Willis” on the front. On the original postcard, the name of the Home & Colonial stores can be read next-door at No. 28, and the Empress Tea Stores at 29. On the right, the building nearest the camera is the Sherborn Arms pub. This combination of businesses dates the photograph at some point between 1904 and 1912.